Yesterday I went to Tramore because it was euro day and as a bonus my friend Ryan was there. We went on the mystery house and then we went on the ghost train twice. And then we went on the most crazy ride. Before all that we went to Rockin’ Joes and I thought what a start! After the amusement park we went to the arcade and I got 74 tickets. Ryan got 81 tickets and got a yoyo and two lollies. We got some four star prizes. Then we dropped Ryan home. 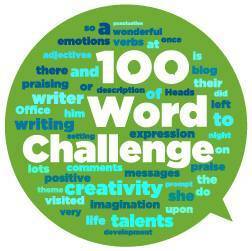 Well done on completing your first 100 Word Challenge story Brandon! From your story, I think that you and Ryan really enjoyed your meal in Rockin Joes and your day in Tramore. I hope the four star prizes were good!!! Good effort, well done! Hi Brandon. You’ve used the prompt to describe a really fun day out and you’ve done it really well. I’d like to know what those four star prizes were!